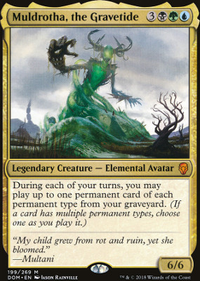 When Creatures enter the battlefield and don't trigger ANYTHING, do I still retain priority? 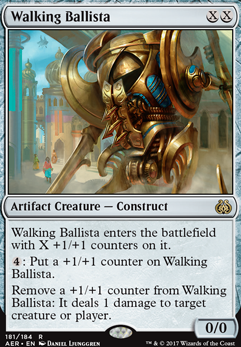 Walking Ballita enters the battlefield with X +1/+1 counters on it. Hey there! 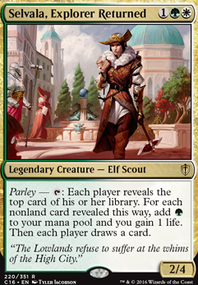 Not sure how competitive you're trying to be, but I would definitely add Mikaeus, the Unhallowed to the deck, and try to find combos to win. 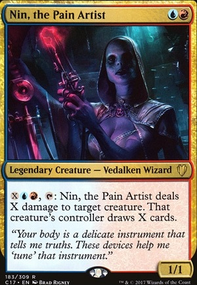 You already have Viscera Seer . so adding Mike and Walking Ballista will win the game. Mikaeus, the Unhallowed + Vish Kal, Blood Arbiter is also an infinite board wipe, so you could cut out the expensive board wipes. 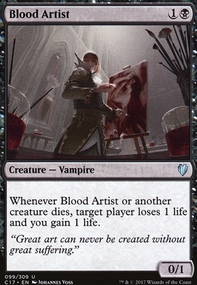 Walking Ballista and any other mana sinc with some benefit usually means with Infinite Mana, due to Necrotic Ooze you also win, due to Necrotic Ooze . 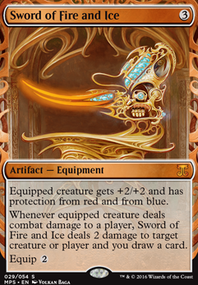 bmbowdish while yes paradox does combo with isochron scepter really well, it doesn't really go infinite unless you have something like a Dramatic Reversal under it because you would still have to pay the 2 mana. It is not as simple as a two card combo like Mikaeus, the Unhallowed and Walking Ballista even though it would go infinite if you had mana rocks.